My knives are so dull, they're not even worth having! I hope your surgery/recovery goes well! Hope you will be back here typing away, in no time! I'm sorry to hear about your wrist. I hope everything goes well for you and your family. Oh, and I am planning on trying out your strawberry lemonade bars this weekend. I'm so sorry you have to have surgery! Yikes, no fun! Hope you heal quickly! 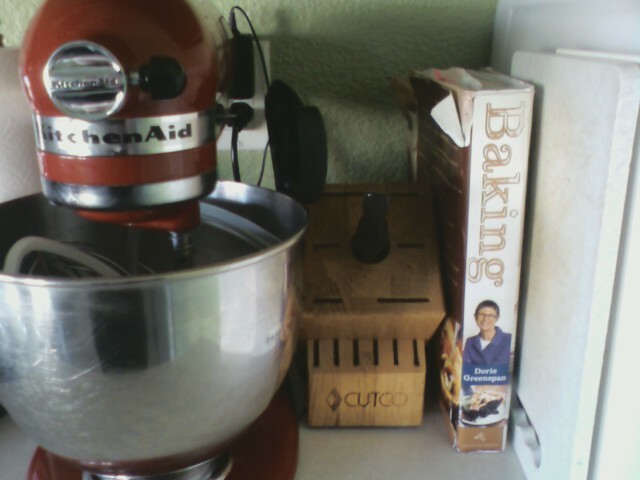 I know just what you mean about your empire red KitchenAid (I have one that color too! ), and your sharp knives. I hope your surgery goes well, and that you're back in the saddle--with your knives and your keyboard--very soon. I hope your surgery is painless and you're back in the kitchen soon!